OCS In action- Finance is LIVE! Bioversity went live on OCS on 17th February 2015 starting with Finance. 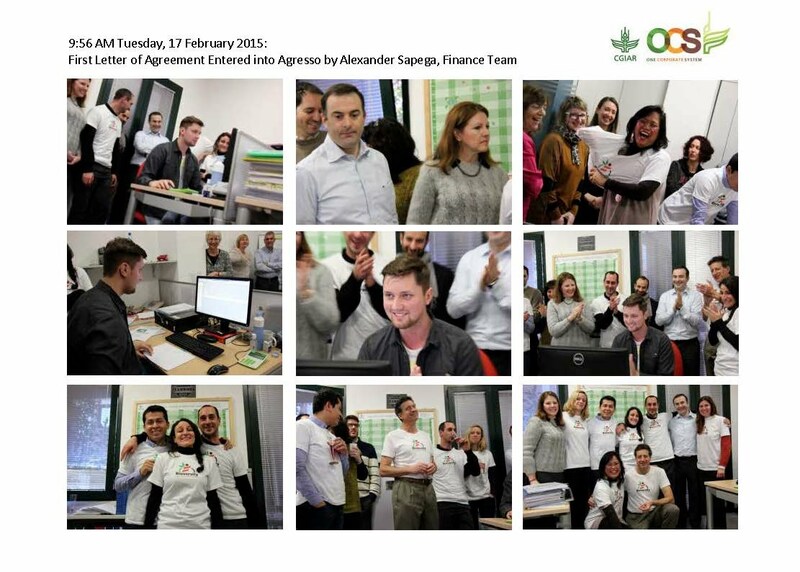 It was all smiles as the first Finance transaction was entered into OCS at 9:50 Rome time. Finance is LIVE! This is a big achievement for the CGIAR and Bioversity.